Spider chart diagrams are often used to plan or create ideas in a clearly structured layout. 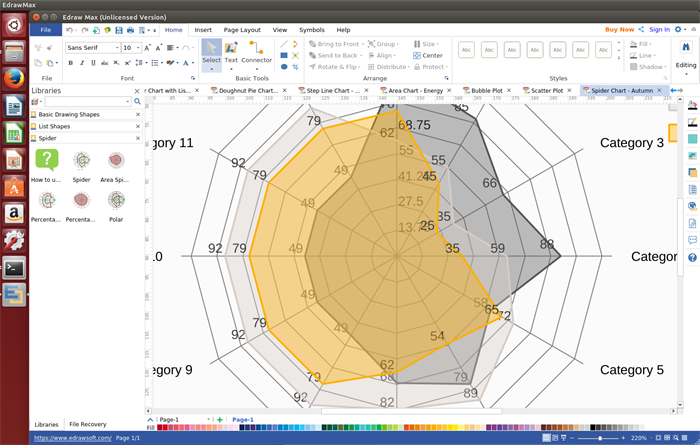 This spider chart software for linux can help you create any spider chart as you need. Wanna draw spider charts to display the performance metrics of any ongoing program or something else. This spider chart tool can do you a great favor. 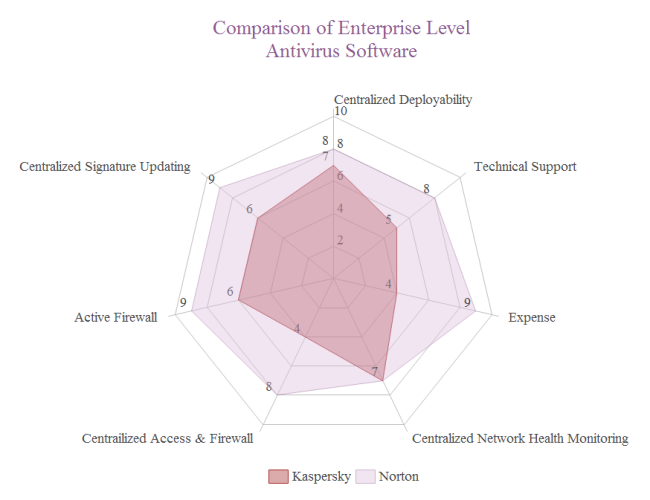 It offers a number of ready-to-use spider graph charting templates and symbols. You can get started quickly. A variety of free spider chart symbols. Users can edit and customize these symbols freely. Rich free spider chart templates. 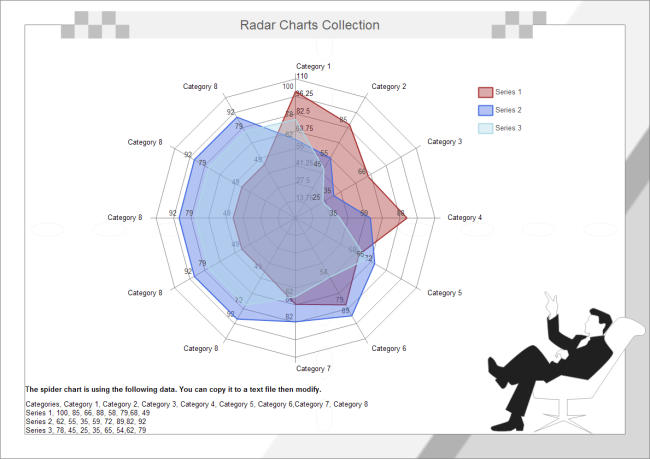 The templates enable you to create good-looking spider charts easily. Export features. You are able to export those diagrams to many other formats including BMP, JPEG, PDF, SVG, HTML, Word, PPT, PowerPoint and so on. Cloud collaboration supported. You can upload the completed spider charts to Team Cloud for sharing. Run this software, you will get built-in free spider chart symbols like spider, area spider, percentage spider, percentage area spider ,etc. Go to "File" menu > "New" > "Chart", and then double click "Spider and Radar" icon to open a drawing page. Drag and drop shapes from the left library to the design. Edit the spider chart data. Move the mouse and find the floating button on the upper right of the diagram. Choose the related option you need. Click "Save" on "File" tab to save as the default eddx format, or choose "Save as" on "File tab" to save as other formats such as jpg, png, pdf, etc. Learn more: how to create a spider chart. Following are some spider chart examples made by our professional but easy spider charts tool on Linux.